Solve problems with a team of cyborgs in this action adventure game. Is there a better alternative to Syndicate? Is Syndicate really the best app in Action category? Will Syndicate work good on macOS 10.13.4? Syndicate ... In the dark and twisted cities of tomorrow, corporate syndicates compete for global dominance. But the boardroom deals and corporate takeovers of the future look very different from today: they are lead by marketing directors who manage teams of half-men, half-machine cyborgs with no conscience and plenty of guns. Syndicate needs a review. Be the first to review this app and get the discussion started! Syndicate needs a rating. Be the first to rate this app and get the discussion started! 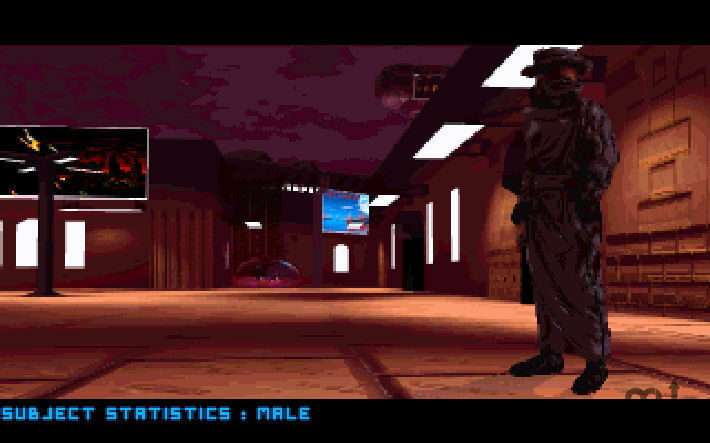 You are an ambitious marketing director in the Syndicate, hand-picked to lead a team of cyborg mercenaries. You work in the problem-solving department and you are damn good at "taking care" of problems. Some might say that violence is not the answer but you know better. There here are hardly any problems that you can't solve with a well-placed bullet. Collateral damage in the local population and infrastructure during the "negotiations" is, as always, acceptable. Syndicate is Bullfrog’s masterpiece of a game in which you aren’t saving the world or protecting innocents. You just make sure that your employers get what they want. At your disposal are four cyborg agents, an impressive arsenal of weapons and gadgets, and a massive selection of cybernetic upgrades. You are free to unleash this power on a highly interactive map where you can blow up buildings, steal cars, light trees on fire, or just shoot stuff. Syndicate is the essence of cyberpunk and, with its great music, stylized visuals, and mind-blowing atmosphere, it has earned its place among the best games of all time.